How to Remove the Glass of Tea Stains? (1) Remove the tea stains on the tea partition of the metal. When using the tea made of metal, it will become dark due to the tea stain. If it can not be washed with a medium-sized detergent, it can be soaked with vinegar or bleach. After soaking, you can simply go to the tea stains. (2) Remove the tea stains on the teacup or teapot. If the teacup or teapot is used for a long time, it will be washed by a lot of tea stains, sponge and salt, and can be easily removed. (3) In addition to small tea For stains, soak them in a solution of bleach or cleaning powder and leave them for one night to remove the tea stains. (4) Scrub them with toothpaste or broken egg shells, then rinse them off with water. There is also a way to easily remove the tea stains: first prepare the hot water, then take a potato and crush it into the cup, pour the prepared heat into the cup for 10 minutes, then simply wash it. Go to the cup of tea stains, the principle is that there is starch in the potato, these starch has a strong suction, so it is very simple to remove the dirt in the cup. 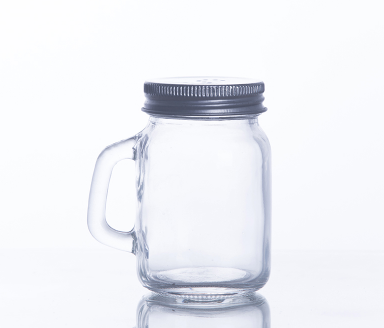 We are glass bottle supplier, providing Food Grade Glass Jar and others. If you have demand, welcome to contact us.